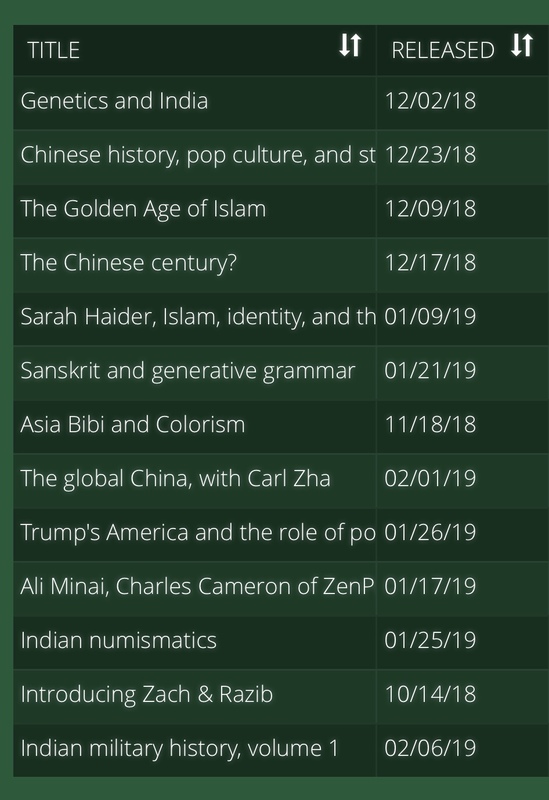 Our Genetics & India post just crossed a very major milestone (Omar’s China episode is closely racing it) and 13 episodes on I thought it would be good to share our most downloaded podcasts. Our podcast listening figures are many multiples of the readership of this blog so kudos to Razib for suggesting it and to Omar & myself for hitching along for the ride. Omar’s most recent podcast on India Military History has only just been released this morning and is already very well-downloaded. It’s interesting to see just how interested our listeners are in China, Islam and the military; not so much in Indian specific topics, art or culture. I guess people are most interested in the near exotic rather than the familiar. I believe we have a podcast on the Patron page and another one is expected to be done tomorrow (I can only join in because the time zones align being back in Chennai again- for work this time). I’m finalising a few of my own podcasts; I’m reworking the Dravidian one into a Deccan languages one. I’m also looking for a very well versed economist to speak with on the Indian economy both in a global and South Asian context. I’m still very much a technophobe; my after dinner electronic ban has led to an efflorescence of intellectual thought (if I say so myself). I’m handwriting my novel & then interspersing my journal entries as a break between writing blocks. I tried handwriting BP posts but they end up so familiar & intime that I have to post them to my locked private blog; it’s astonishing just how difficult it is to be trollish/opinionated about topics by hand, it just seems absurd on the written word as opposed to a computer. I’ve discovered the medium of technology profoundly influences the writing style (twitter and its propensity for flame wars is a good example). Knowing that I have a ready audience with only the click of the button I will write for the reader than for myself. However the handwritten style, where the reader is a distant stranger, lends to a profound intimacy. I’m very proud of my prolific output even though my handwritten notes rapidly degenerate into hieroglyphics if not typed out and it will require constant editing (not surprisingly I tend to be of the James Joyce style, a stream of consciousness). In many ways I remind myself of a D-lister who have made their career playing Marvel characters is now trying to be taken seriously as an actor. By masalafying BP and spicing up the comment threads, I’ve trolled my way to the top in the niche world of Brown Pundity. Now in my own search for authenticity I find myself compelled to play a role all of my own making. An existential crisis worthy of a good novel..
May also be because for the Indian audience(if that forms a good chunk of the site/podcast demographics, along with South Asia) there are choices in the Podcast space. IVM Podcasts network and many others like them do a good job of providing information on similar topics(depth may vary but the domain is touched at least). 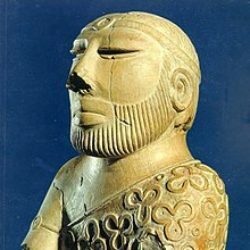 There are also long running Indian History Podcasts (3 very famous ones) and so on. China is covered less even in mainstream media (esp. that is from the perspective of the demographics here, i.e. 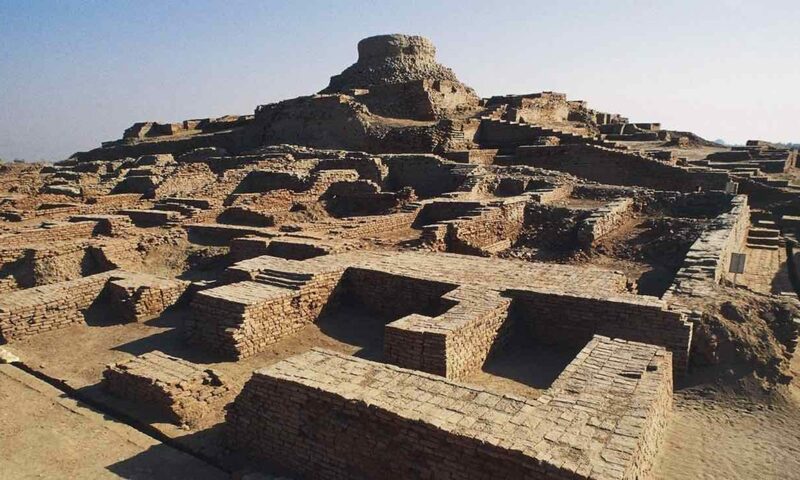 South Asia) so the fascination and interest may be more. Though there is no specific shortage of China/East Asian specific podcasts in English medium, maybe they are too specific and less tied in with South Asia so less popular in the demographic concerned here. Similar for Genetics, topics which are covered less traditionally, inquisitive people will naturally have a pull towards that. Even in mainstream space South Asia sees lots of debate/drama/traffic for Genetics stories. If anything this topic is even less mainstream or even niche for East Asians/China/SE Asia (very few if any famous Podcasts on this domain). You should check out Reddit.